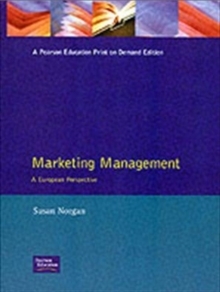 This book introduces the reader to the strategic issues which must be taken into account within marketing management today. It's main theme is the exploration of marketing theory and functions from the point of view of added-value, to bring profits to an organization within qualified targets and control mechanisms. Emphasis is placed on developing the reader's knowledge and competence - building up to an ability to put together a complete product plan and three year budget.